Licensed From – Octopus Recording Co. Ltd. Published By – Octopus Recording Co. Ltd.
Track 1-1: track name wrongly stated on the release as "(Ripped)". Distributed in UK by S.R.D. Second catalog# as on the back cover. Third catalog# as on the CDs. The tracks 1-3, 2-3 and 2-9 are mono recordings. Track 1-1 published by Big World/Warner Chappell, licensed from Marlboro Music. Track 1-2 copyright: copyright control, published by Basement Records '97, licensed from Precious Material/Vinyl Distribution. Track 1-3 published by Edition Klangwart/AMV GmbH, © & ℗ Compost Records 1997. Track 1-4 published by Shield Records, licensed from Shield Records. Track 1-5 published by G-Stone Music and Fa. Huber Music, licensed from G-Stone Music and Fa. Huber Music. Track 1-6 published by Space Race, licensed from Space Race. Track 1-7 published by Lollop, licensed from Clear. Track 1-8 published by Disques Solid, licensed from Disques Solid. Track 1-9 published by Mojo Music 1997, licensed from Groove Attack Productions. Track 2-1 published by Octopus Recordings Co. Ltd., licensed from Octopus Recordings Co. Ltd.
Track 2-2 published by Les Editions De La Bascule, licensed from SSR. Track 2-3 published by Ugly Records, licensed from Ugly Records. Taken from J.Reed* - Vibe Nations. 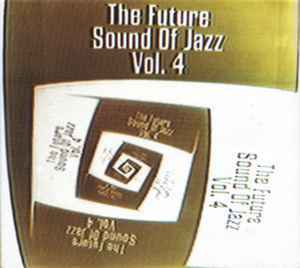 Track 2-4 published by Jazzanova Records, licensed from Jazzanova Records 1997. Track 2-5 published by Dialog Records 1997, licensed from Dialog Records. Track 2-6 published by Edition Klangwart/AMV GmbH, © & ℗ Compost Records 1997. Track 2-7 published: copyright control, licensed from Hacienda. Track 2-8 published by Ferox Records, licensed from Ferox Records. Track 2-9 published by Schnozza Music, licensed from DC Recordings. Tracks 1-3, 1-5, 1-9, 2-4, 2-5, 2-6 and 2-7 were previously unreleased.